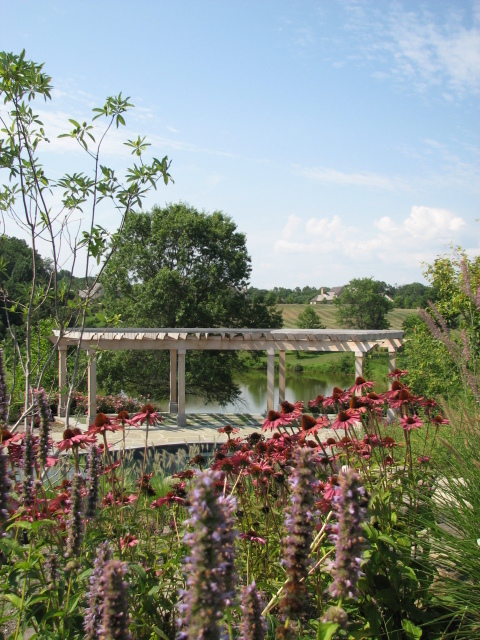 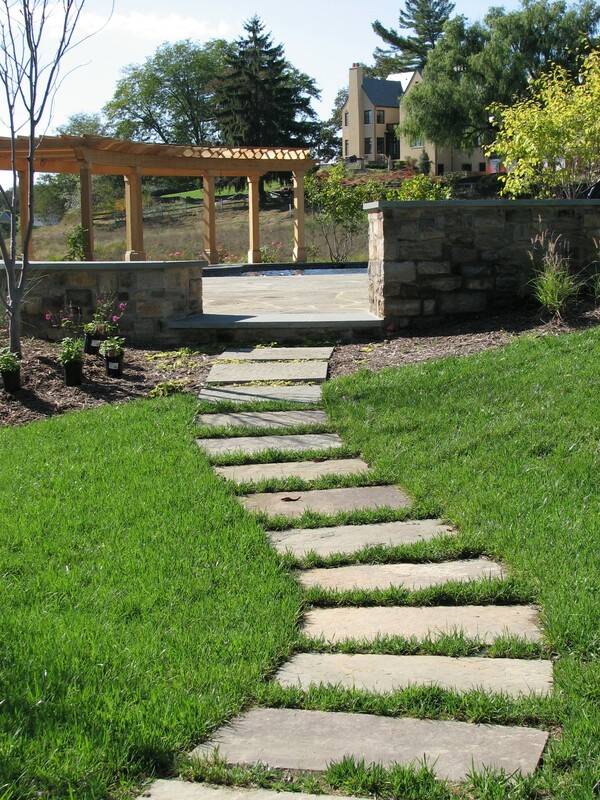 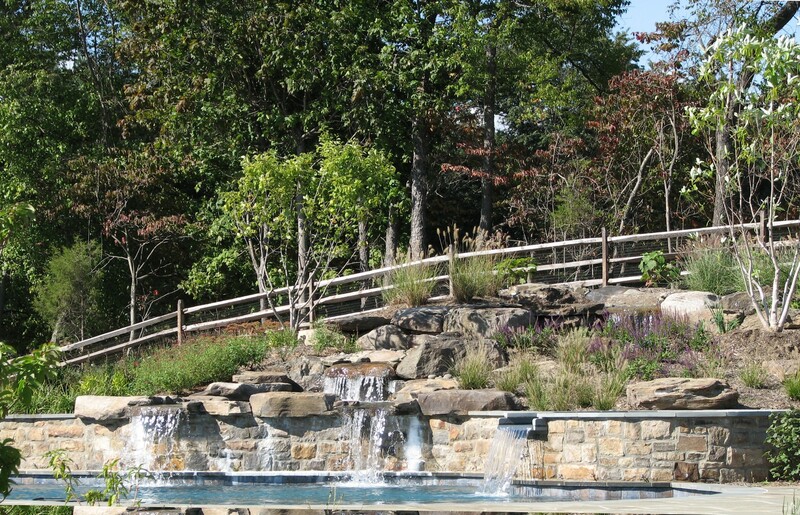 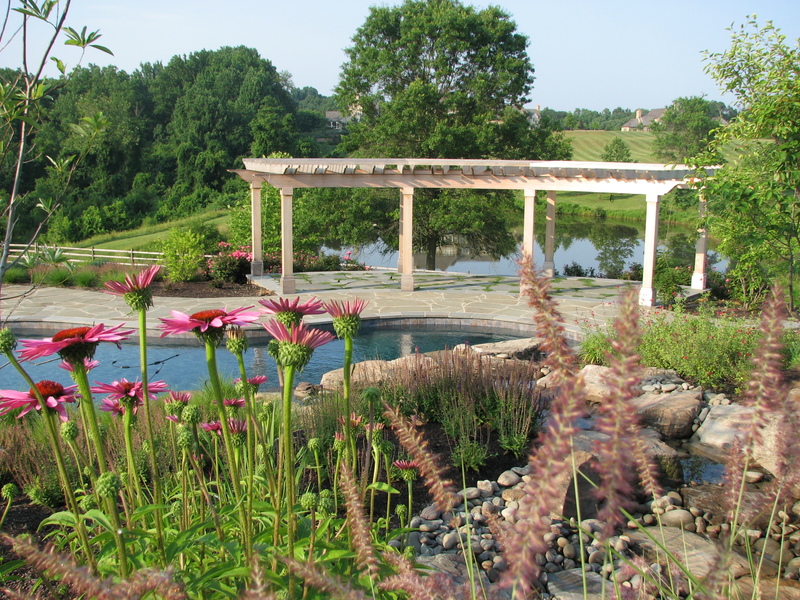 The swimming pool oasis of Bluestem Pond is carved out of the rolling hillside and connects the homeowners to the adjacent pool terrace with views to a nearby pond. 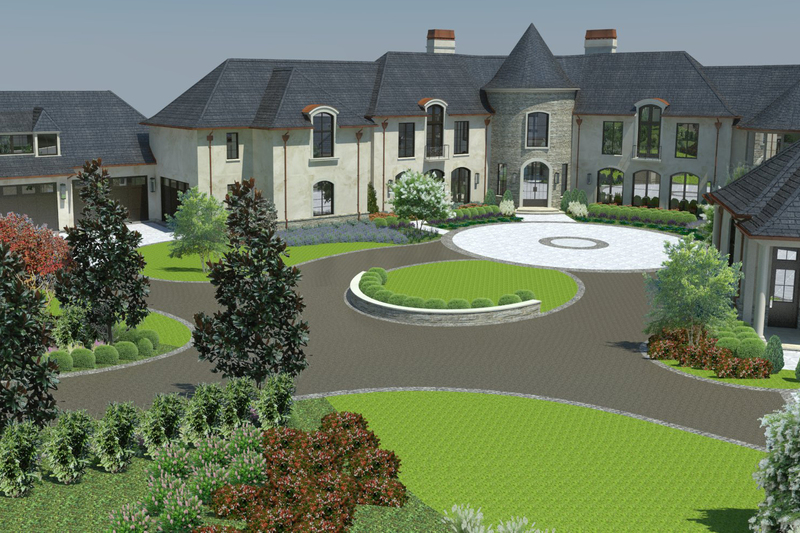 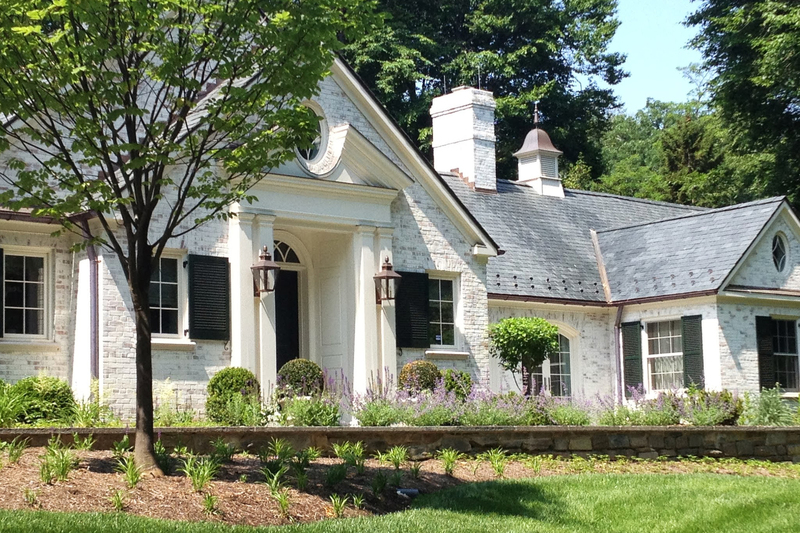 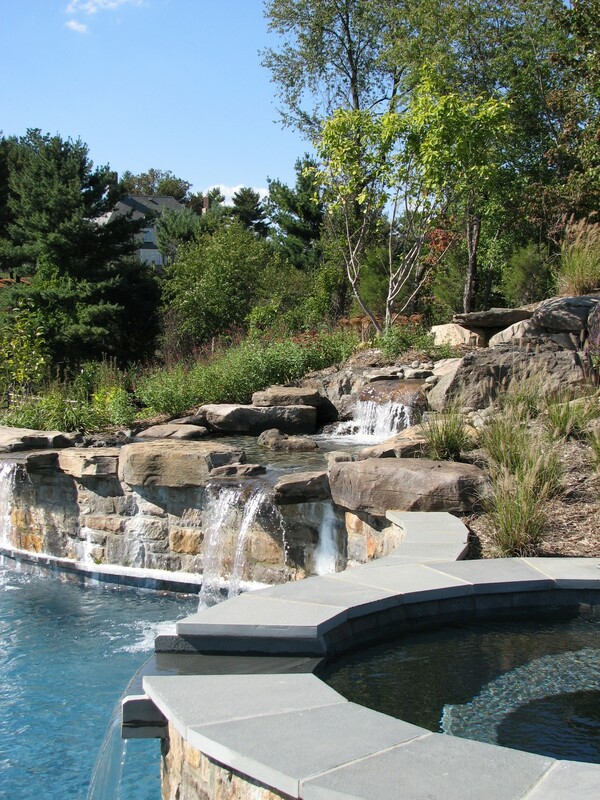 Set along a gentle hillside of western Potomac, the naturalized pool was designed to capitalize on the views to the adjacent pond. 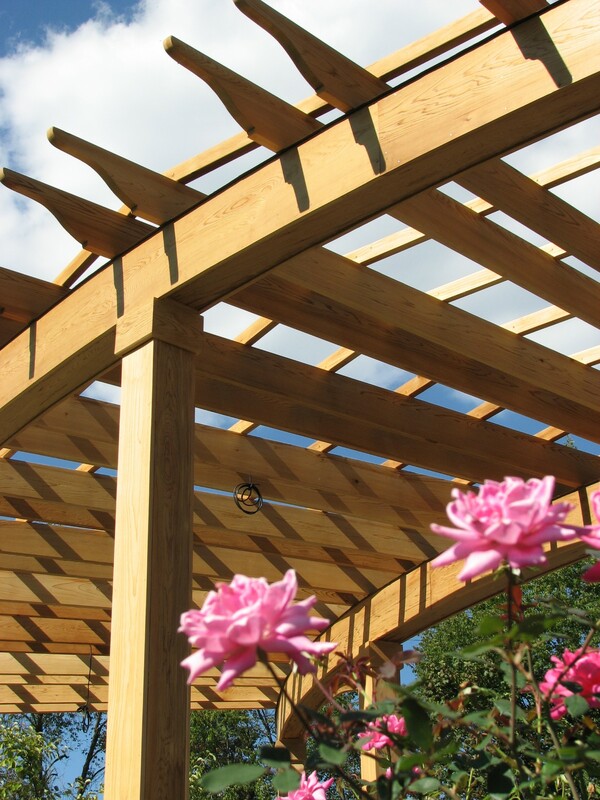 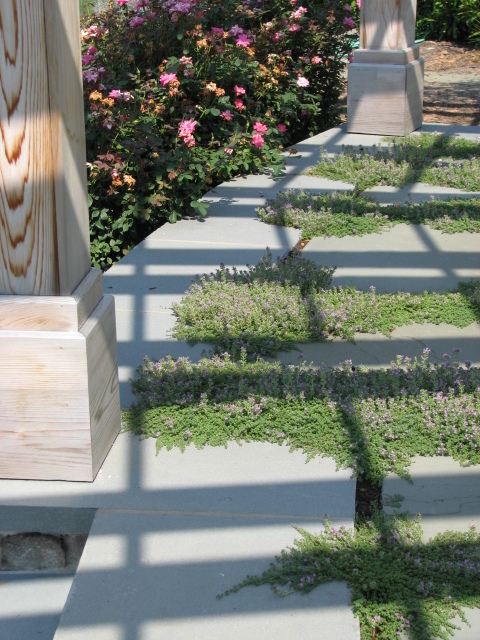 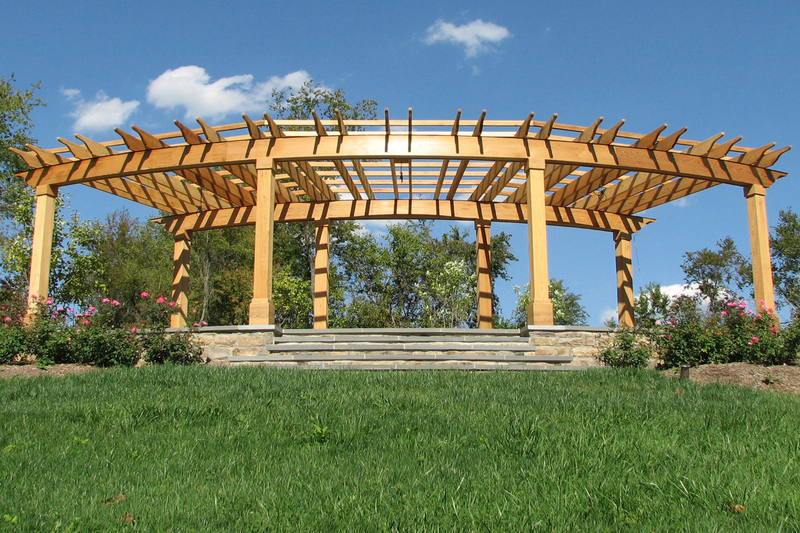 The curved arbor was placed to provide shade from the hot afternoon sun and to frame the views.